Reddit.com is one of the largest community discussion platforms online. It’s a place you can find and discuss interesting content on just about any topic imaginable. In the past, Reddit users would often have to go to YouTube to watch a video and then come back to Reddit to discuss it. 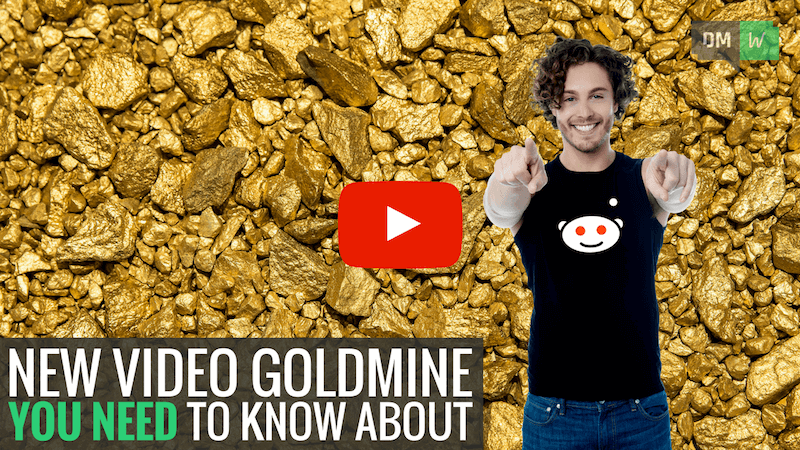 Recently, however, Reddit announced the launch of its own video hosting platform. 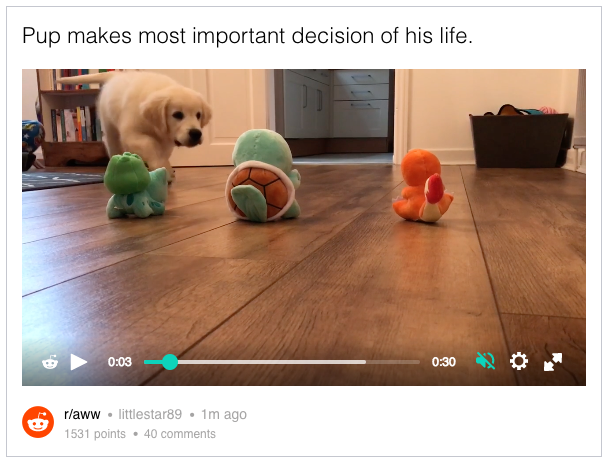 The new platform allows users to record videos and post them using the Reddit mobile app, as well as uploading existing videos from their phone. Desktop users can also upload videos from their computer. The new video platform will support 15-minute videos with a 1GB maximum file size. Reddit will also have a built in GIF creation tool which will allow you to create a GIF up to one minute long. Reddit has been testing the new video platform with a small number of users and is now starting to make the platform available to more and more communities. With over 250 million users and over 8 billion monthly page views, Reddit can be a great place to share your message. As with any new video platform, content creators who get in early and create good quality content often do really well, so be sure to check this out. This week YouTube announced two great new features for its mobile app and also revealed its biggest design makeover ever. The first new feature is something we’ve been looking forward to for a long time. “Variable speed playback” has finally arrived on mobile. This means you can now watch videos on your phone at up to 2 times the normal speed. It can take a little getting used to but it is a great way to consume information much more quickly. The second big new feature is a new dynamic video player that automatically adjusts to display horizontal, square or vertical videos in the best way possible. This means that the black bars that occur when a video is letterboxed or pillar-boxed in the YouTube mobile app should now be a thing of the past. This is great news for video creators who are already creating square content for Facebook and Instagram. Your square videos should now also work really well on YouTube’s mobile app. YouTube’s design makeover includes a new font, new colors, and a brand new logo. The thinking behind the new logo is that the “Tube” aspect of YouTube doesn’t actually mean a lot to most people. However, the red play button has almost become a brand icon by itself. YouTube has now decided to embrace this play button as a central part of its main logo. In SEO news this week, Ann Smarty shared a great article on Moz that described a clever way to grab a top spot in Google. The key is to optimize your content for Google’s Featured Snippets. Featured snippets are selected search results that are featured at the top of Google's organic results in a box. The aim of featured snippets is to immediately answer a user’s question. Here’s how to optimise your content for featured snippets. The first step is to identify the right questions to answer. You can do this by taking note of the questions your customers most frequently ask. Also, to further explore a topic, be sure to browse Google’s own “People also ask” sections for additional questions to consider. First, actually include the question in your article as a subheading. Next, immediately follow the question with a brief one-paragraph answer. And finally, elaborate further on your answer in the rest of your article. This structure will increase the chances of your content being selected to populate a featured snippet. Which in turn can catapult your site over your competition to land a top spot in Google’s search results. Now before we go, we wanted to share with you the winner of our competition. You may remember that last week DMW hit 10,000 subscribers and to celebrate we are giving away a 12-month free pass to Content Samurai, which is the first video creation platform powered by artificial intelligence. With Content Samurai you can transform a written article into a polished video with just 5 clicks of your mouse! And the lucky winner is YouTube user 'ThePracticeCompany'. Congratulations! A member of the Noble Samurai support team will be contacting you soon with the details you’ll need to access your prize.